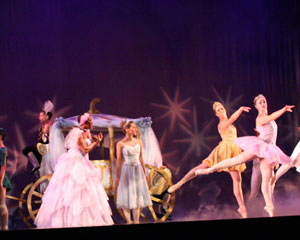 No one needs a fairy godmother to have a ball at Columbia County Ballet’s new, original production of “Cinderella,” at the Imperial Theatre. This production, which features about 65 dancers ranging in age from 10 to 20, is choreographed by Columbia County Ballet alumnus Michael Viator. “Michael has taken his trademark approach of presenting this classic story in a non-traditional way. He brings his main concentration to the power of the music, which is not the traditional Prokofiev, and the power of the movement he creates for the dancers,” says Ron Jones, Columbia County Ballet artistic director. Jones and Renee Toole, Davidson Fine Arts Magnet School fine arts director, are weaving together the scenes to connect the details of the story. Lia Daniele, dance instructor at SAIL, is joining them to rehearse the dancers and prepare for curtain. Published on September 4, 2018 in LIFE + STYLE.